Everybody loves the famous Big Chair! 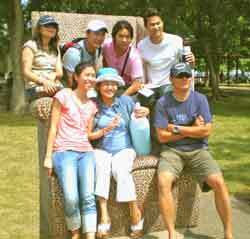 The Big Chair stands about 8 feet tall and can hold about 10 kids or 6 adults at a time. It is upholstered to look exactly like a real living room chair. 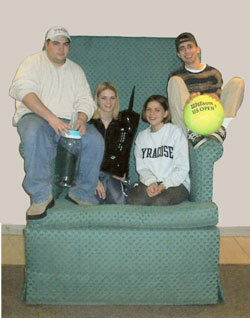 We provide large scale props such as soda bottles, cell phones and sports balls to enhance the picture. Our photographers will position your guest and can shoot around 60 pictures in an hour. Each guest will receive his or her own photo in a frame personalized for your event and a memory to last a lifetime. 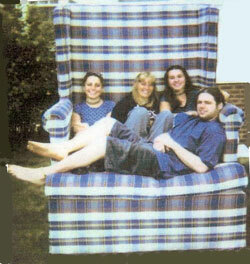 The Big Chair is perfect for company picnics and a hit at senior graduation parties. Call Linda now for prices. (952) 920-0419.